Project Revise – Worcestershire, England, United Kingdom. Pop-Punk is a genre that has a fair amount of nostalgia attached to it. Many of us look back on the days of our youth and reminisce about the bands we used to hole-up in our rooms and listen to whilst stewing in their own hormonal angst. Whilst I am guilty of this, I also like to look forward. Pop-Punk is most not a dead-and-gone genre from a bygone era, it is well and truly alive and something we should be looking forward at, not just back. 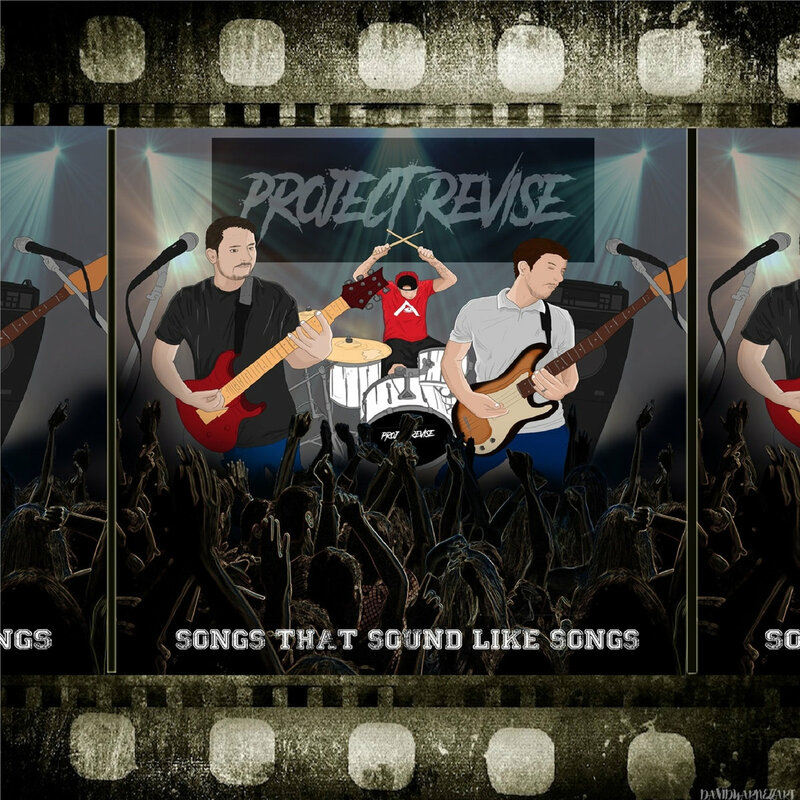 With that in mind let me introduce Project Revise, a three-piece Pop-Punk band from Redditch, Worcestershire with a sound that harks back to the early masters like Millencolin, New Found Glory, and Sum 41. 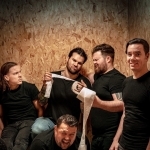 The band consist of Chris Tamburro (Guitar & Vocals), also of State of Ember, and Richard Marshall (Bass & Vocals) and David Yarnell (Drums), also of A Poetic Yesterday. Project Revise released their first EP Songs That Sound Like Songs in 2017. A record which drips unapologetically with classic 2000’s Pop-Punk nostalgia and angst, and damn it tastes so good. In modern terms, it bears similarities to WSTR’s 2015 debut EP SKRWD with its heavy reliance on the two vocalists bouncing off and harmonising with each other. The record kicks in with the brilliant ‘Tie Me Down’. A track that nails the interplay between the two vocalists damn near perfectly. 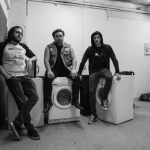 Following up, ‘Three Long Years’ introduces a heavier Skate Punk guitar riff, and a wailing chorus of I can’t believe the way you made this house your home’. For me, this track is perhaps the highlight of the EP. Technically it shows the band demonstrating how they have become masters of their instruments for the genre, the track is polished to a mirror sheen and perfectly executed. Nostalgia gets cranked to 11 on ‘Every Time Breaks’ with the chants of – ‘There’s not a thing that can save us!’ – It’s a true masterclass in Pop-Punk lyricism. ‘Take a Moment’ brings everything together with watertight pounding drums working in perfect sync with the grinding guitar noise and some more vocal harmonising that again draws parallels with early WSTR and the heavier side of ROAM. ‘Fire Burns Out’ ties up the EP with a standout chugging guitar riff, perfectly backing up the lyrics which carry so much emotion that can be felt punching straight through the speakers. Since their EP Project Revise are right this second in the studio working on the recording of their follow-up EP. In the meantime, to keep us happy, they have released two singles – ‘One Last Stand’ and ‘No Chances’ respectively. ‘One Last Stand’ is a decent track; however, it feels almost like a track that didn’t quite make the cut for their EP. Whilst it is well-crafted song it doesn’t quite stand up to their previous work, feeling somewhat less-inspired vocally. ‘No Chances’ on the other hand is an absolute scorcher of a single, boasting a brain-melting guitar riff working in perfect harmony with the drums, and that masterful vocal interplay between Richard and Chris is back – hopefully a sign of what is on the upcoming EP. Project Revise are a raw and honest band, a group that clearly love the music they are great at making. They haven’t tried to make a new form of Pop-Punk to appeal to the masses, they’ve come here to produce something pure and unforgiving that, for long-time fans of the genre, is considered a work of beauty. Fancy getting some thoughts out on the music you love or have just discovered by chance? Do you have an urge to immerse in a release, band or artist and electro-scribble the reactions provoked by sound? You do? Get in touch! Next Story Next post: ‘Never Better’ and Other Stories: Phil From the Burnt Tapes.